Former England midfielder Paul Scholes expressed praise which he rarely says to Manchester United by calling the team's performance this time 3-3 draw against Newcastle United as getting better. Scholes has ever criticized the current MU with the word of playing dull, when United won 1-0 in the FA Cup third round match against Sheffield United. Despite failing to win three in a row at the beginning of this year, Scholes said that MU has changed and much more impressed by the appearance of his former club in a match that ended in a draw entertaining. 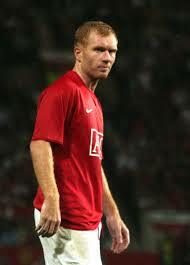 Paul Scholes told BT Sport that MU had better conditions. When he go and watch Manchester United, whether it is home or away games, is entertaining, their goals, whether their current creating goals or conceded goals. Paul Scholes also added that night during the match against Newcastle United, Scholes saw them as the team Manchester United (actual). They did not win, but they should have won, so they really fight. Scholes insists that it is sometimes a little easier to do it in away games than the cage, in fact, when a team out to face you and indeed as shown Newcastle. Now they have to try and transfer this style of play to Old Trafford.